Owens sucker, underwater. Location: Hot Creek, CA. Photo by Joe Ferreira, California Department of Fish and Game. Owens sucker. Location: Hot Creek, CA. Photo by Joe Ferreira, California Department of Fish and Game. Owens sucker, ventral view. Location: Hot Creek, CA. Photo by Joe Ferreira, California Department of Fish and Game. Note: the scientific name of this species, fumeiventris, means "smoky belly". Owens suckers occupy waters in southeastern California and specifically in the Owens Valley. 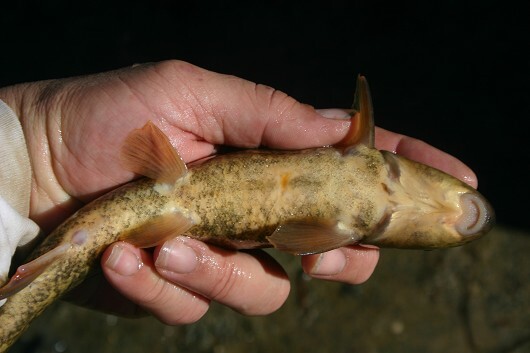 The species has been introduced into June Lake (Mono Lake Basin) and the Santa Clara River drainage (via the Owens Aqueduct). They are primarily found in long stretches of soft-bottomed runs in cool-water streams. They also inhabit the bottoms of lakes and reservoirs. Owens suckers feed at night on a diet of aquatic insects, algae, detritus, and organic matter. 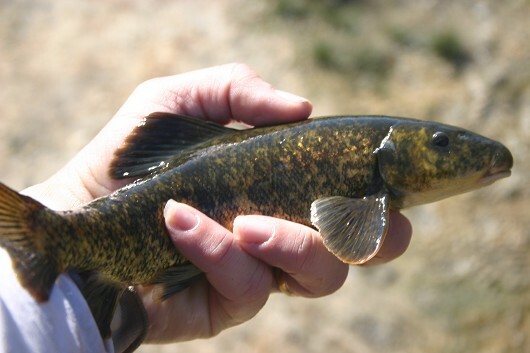 Their life history is similar to the Tahoe sucker and they spawn from early May through early July. Like other suckers, Owens suckers probably spawn in groups over gravel substrate. 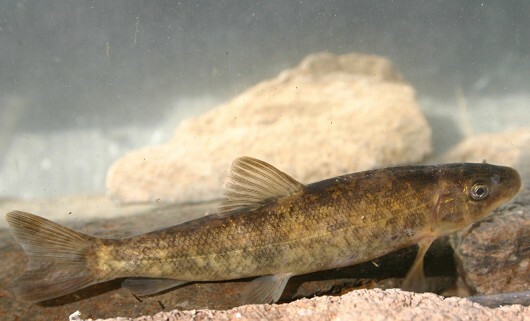 Larval suckers become juveniles at a total length of 19-22 mm and hide under cover along stream margins and in backwaters.